LOADED 2017 Tundra CrewMax Limited with the 5.7L iForce V8 motor! NAV sunroof heated seats bluetooth power sliding rear window leather power seats satellite radio back-up camera back-up sensors all weather mats folding bed cover and a ton more! See comprehensive pics for all the options! 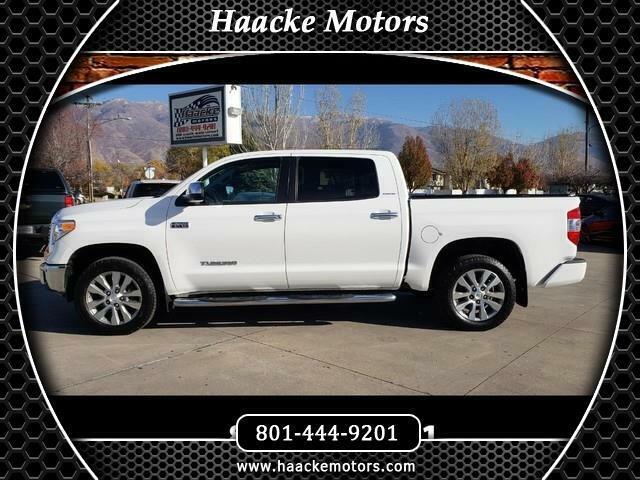 See us on our website at www.haackemotors.com Autotrader.com KSL.com Cars.com Carsforsale.com Cargurus.com CarFax Online Facebook and Instagram. We're human, we make mistakes. Feel free to call us with any questions!!! Message: Thought you might be interested in this 2017 Toyota Tundra 4WD.